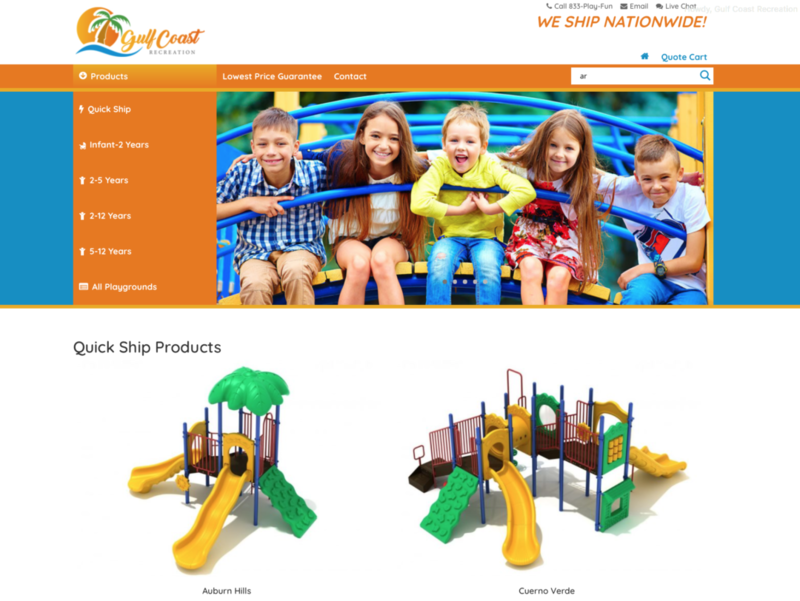 This is an ecommerce site using WooCommerce and WordPress. This site uses the Divi theme so it’s very customizable. The design is very friendly and somewhat retro-looking despite still being modern. The vibe of happy kids playing was the the main design thought. Simple yet striking and eliciting notes of joy. While the site looks simple, there’s a good amount of custom development under the hood. I used a Quote Cart system which is a modified version of the Product Enquiry Pro plugin. The Visual Form Builder also helped build some of the estimate/playground finder forms. And of course there’s nothing like the Divi builder to help make things look awesome – this was crucial to making a great site! The custom Divi child theme was probably the most time-consuming aspect of building this site. It’s a heavily-modified theme: I took out the Divi primary menu and used my own, opting for the Max Mega Menus plugin with is a lot more extensible. Then I used jQuery to manually make the header smaller when scrolling up. This was the first site I built for a client on Upwork and it went swimmingly – couldn’t ask for nicer people to work with. This project has sold me on using Upwork for finding web jobs! They’re super happy with the end result which in turn makes me thrilled. We plan to continue working together and add features to the site as their business grows.